An audio frequency distortion analyzer basically is a precise AC volt-meter with very flat frequency response from 10Hz to 1MHz ( +/- 0.05 db). Distortion measurement takes two voltage readings where the first reading includes fundamental and harmonics, the second reading includes only the harmonics. The percentage distortion is the ratio of these two readings. (2nd reading/1st reading). If the 1st reading being set to 1 unit, the 2nd reading is the answer. 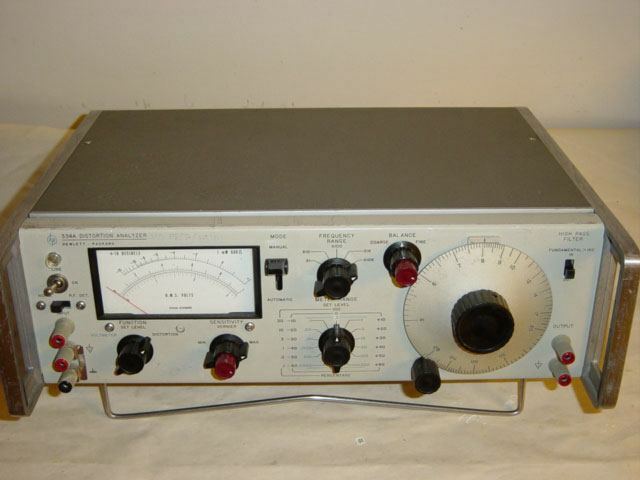 The HP334A solid stated distortion analyzers were probably the most user-friendly harmonic distortion analyzers ever made. The automatic nulling design is helpful and efficient, which speeds up the time consuming portion of distortion measurements. This model includes two control loops that automatically phase lock the bridge circuit at fundamental frequency so that only harmonics can pass the bridge. This machine can measure audio frequency (5Hz to 600KHz) THD (Total Harmonic Distortion) down to 0.1% full scale, very useful for audio amplifiers and tube gears. Frequency Range: 5 Hz to 600 KHz. Distortion Levels: 0.1% to 100% full scale. The HP333A/334A were produced from late 60’s to 70’s with very good build quality, such good build quality is hard to find nowadays. I tested and sold many 333A/334A units. The most interesting case is that the machine displays 0.05% distortion while the actual signal distortion is 0.02%, this is because the rejection amplifier can not well clear the fundamental frequency, how to locate the 0.03% difference is a funny job but of course not simple as just contact cleaning. 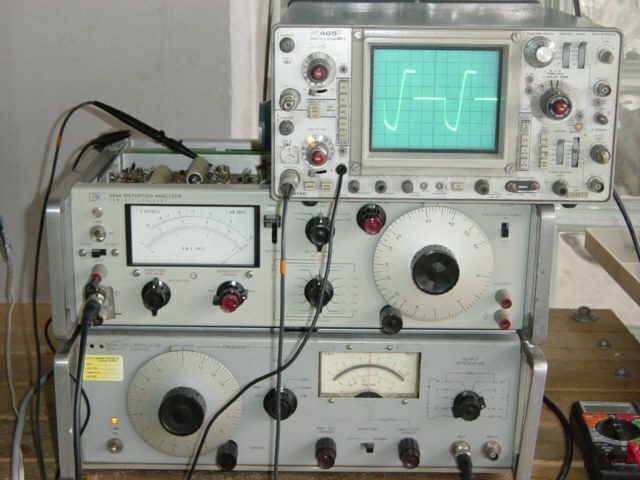 Also a good 333A/334A machine should give same reading in two ranges for an overlap frequency, for example a 5.5KHz signal should be measured at both x100 or x1K range with SAME result. 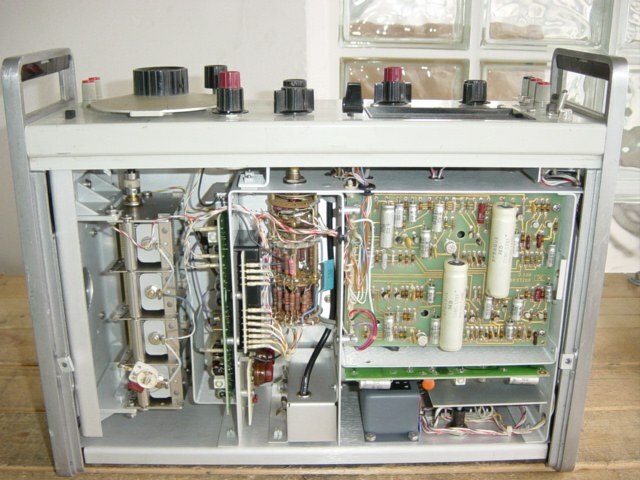 The HEART of HP333A/334A is the auto nulling 90 degree phase spliter, it can accurately split the fundamental frequency into two components :- real axis and imaginary axis (also known as square root of negative one axis). These two voltage signal maintain the bridge balance to eliminate fundamental frequency.